Libby Spellman has been named Assistant Vice President, Corporate Communications. Ms. Spellman will continue to oversee and execute the digital marketing activities of the bank, including website and social media platforms for all Hickory Point locations throughout Central Illinois. 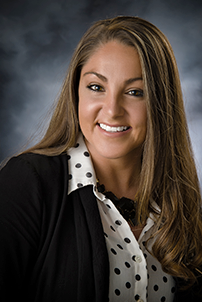 Ms. Spellman joined Hickory Point Bank in 2016 as a Digital Marketing & Communications Specialist and has previous work experience from Archer Daniels Midland Company. She was born and raised in Decatur, and graduated from Southern Illinois University Carbondale in 2012 with a double major Bachelor of Science degree in Journalism and Communication Studies. Ms. Spellman lives in Decatur with her husband Dwayne and 5-month-old son.